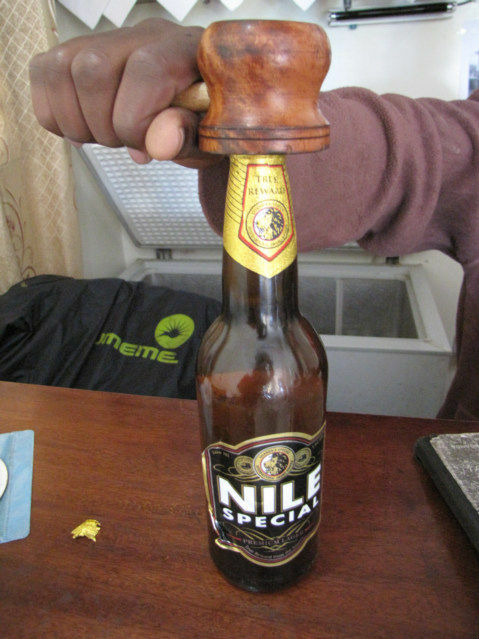 Uganda restaurants and bars have this unique bottle top opener, I have yet to find one for sale, however I am still looking. 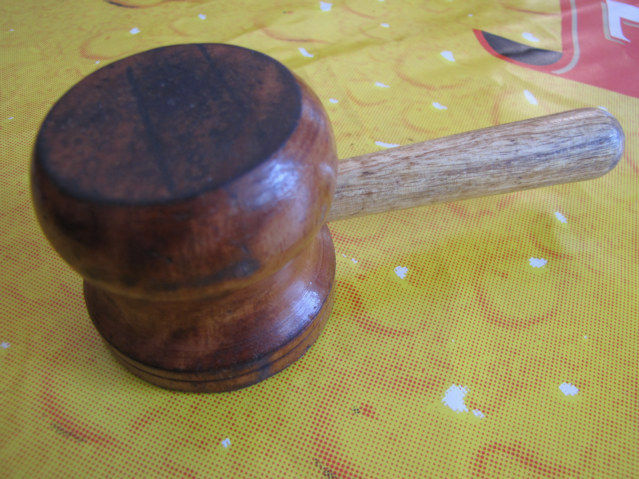 The bottle opener is made of wood, and in my opinion would be the perfect opener for a home bar or formal setting. However, I am not sure it is still needed, possibly all bottles in developed countries have screw off tops. 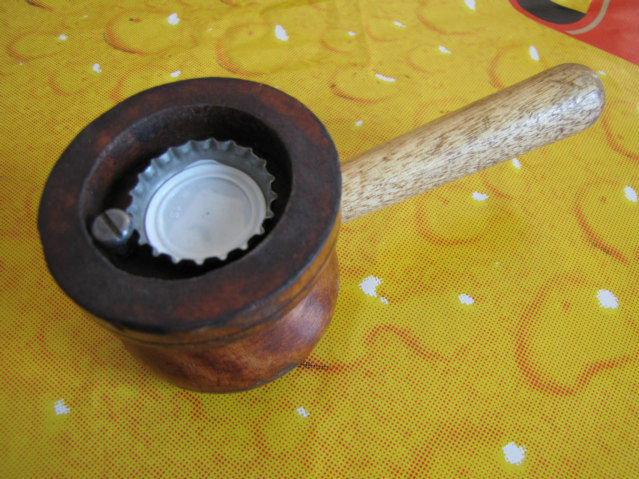 There is a screw inside the top, it will catch on the edge of a bottle cap and allow the user to pry the top off. What do I know, I have not went in a liquor store in 20 years, however this bottle opener would be the perfect accessory to a person who has well stocked bar in their house. It is enjoyable to see the many ways the world does the same thing in a different way. Just today I was looking at the pillowcase in my hotel room; I would estimate I have seen 15-20 different designs for the simple bed pillowcases in my perpetual circling of the planet. Every once in a while I start to group photos into categories, and then I slowly give up on the project because of the difficulty in filing the photos. One of these days I will find a simple way to file them and create some curious photo exposes.